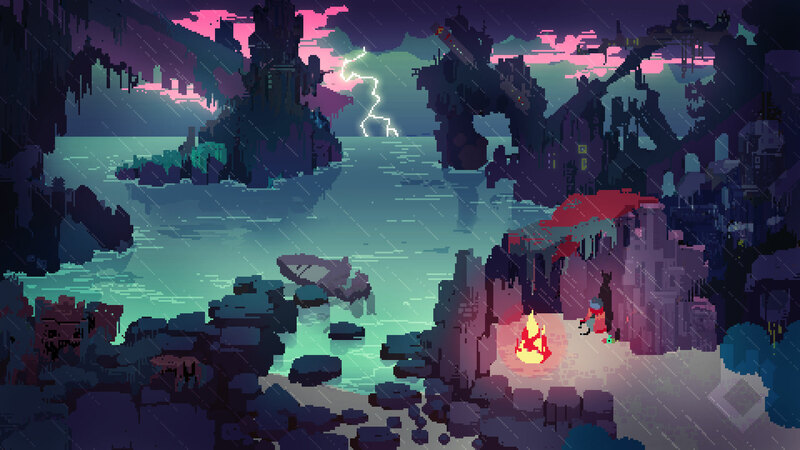 Hyper Light Drifter is a 2D adventure game that pays homage to the 8bit and 16bit games of the last century. Originally a Kickstarter with a small target of $27,000 and a PC/Mac only release, Hyper Light Drifter soon turned into a $600,000 project that was updated with console release stretch goals. A one man’s dream was turned into a reality over night. 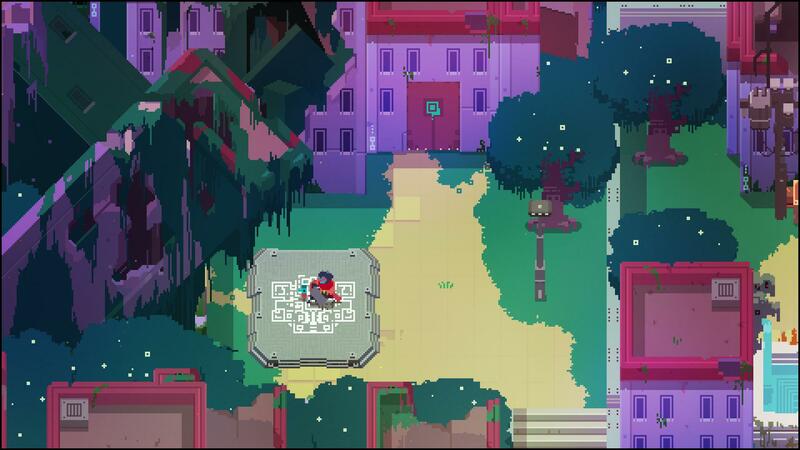 I would usually discuss the story at this point in a review but here is the thing; there is not a great deal of story given to you in Hyper Light Drifter. It is something that you must work out yourself and in a mute world this can be very challenging. You control a Drifter who has access to long-lost technology that the world has forgotten about and along with this you have an unknown sickness. You traverse through four different areas of a world that nature has taken back with subtle hints guiding you along the way. Everything is so vague – you meet a traveller telling you there is a boss ahead, then you meet another Drifter who then informs you that you need to collect a select amount of Power Nodes to proceed. It all sounds so easy but the maps are maze, everything wants you dead and some of the items hidden are hidden so well will wonder who put them there! At the end of it all you must have to ask your self why you are doing all this? 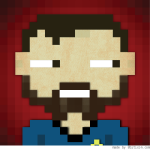 I will tell you why – it is a bloody good game! It is by no means a friendly game as there are no instructions or guides on what you need to do. Every aspect of the gameplay is suggested to you as you explore and with time (and some terrible mistakes) you will start to understand what is going on. Some will not like this approach but it is worth sticking to and there is no shame in starting again (this reviewer did). It comes down to the saying which I have heard many a person say – I wish I knew what a know now when I was younger. 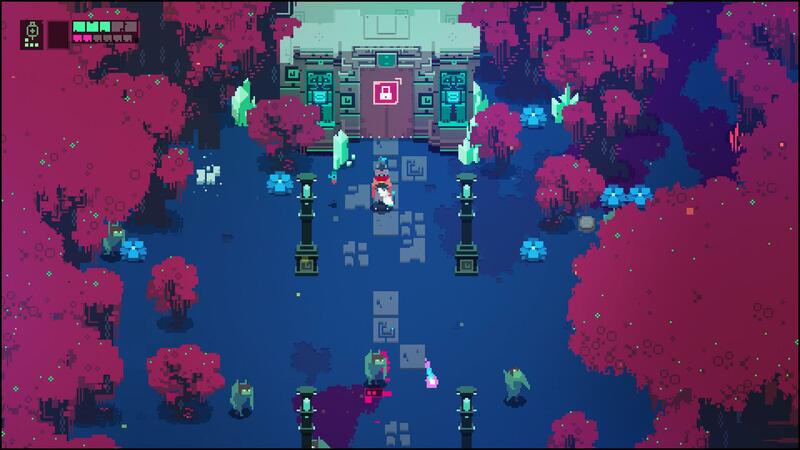 At the core of Hyper Light Drifter is a hack and slash adventure game with RPG elements bolted on. You can tell that a lot of effort has gone into perfecting the combat as it is a very smooth experience that feels very rewarding. As you grow within the game you will always find out that there is something stronger than you but the feeling when you bring that foe down is just amazing. I recall a section where a room was filled with projectile firing Wizard Crows and I managed to defeat them all on two health bars with no health pack to hand. Pretty amazing stuff. This ties very nicely into how difficult some sections can be. The game is very simple to learn. You have an energy sword which you can hit things with, a gun to shoot things with and a lovely dash move that can get you out of a tough situation. Enemies on their own are easy as you can follow their attack pattern. Multiple of the same enemy is a little difficult as the timing of each attack pattern will be staggered. The real difficulty comes when you have multiple of different enemies on the screen at once. Crow Wizards firing spells at you, gun men using you as target practice and giant gem monsters that just want to impale you. 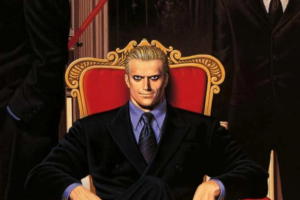 Now, imagine that scenario with a boss thrown in for good measure. Easy to play, difficult to master but with a lot of practice you will soon become a master drifter. You do start off very basic but it is enough to get you going. However though, to assist you on your adventure you must upgrade your equipment. This is done by collecting gear bits from enemies and crates spread out in the world. You can just straight up ignore them but you are making it difficult for yourself in the long run. Plus some area are blocked out until you have the right equipment. The entire story is told through the sound track and gorgeous back drops. The world is old and full of past events that nature has taken back, The amount of detail in this Pixel Art world is outstanding. Some critics will tell you that video games are not art but when you see what is on display here, you will defiantly disagree. Each world has a different colour palette to suit the mood of that world but the one consistent factor is that vibrant colours are always used. I myself am a huge fan of music in video games, especially when used correctly. In this case this is true. The soundtrack paints a haunting but peaceful picture of a world that has seen despair but are working towards a better tomorrow. For a game that offers no dialogue, I am happy that they got the soundtrack right. 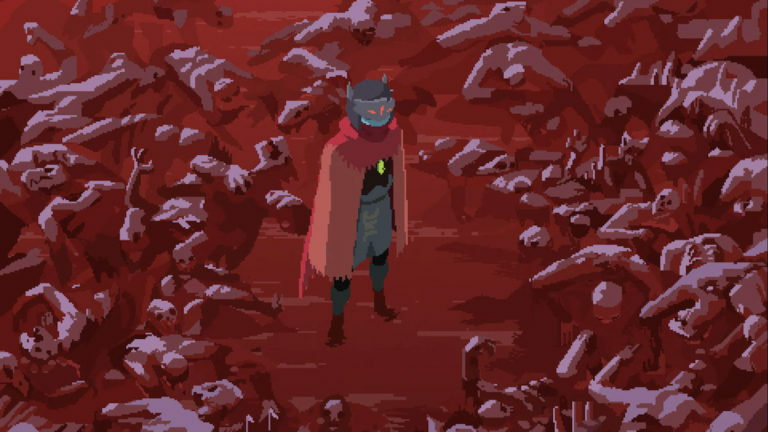 Hyper Light Drifter is a fresh game that feels so familiar. 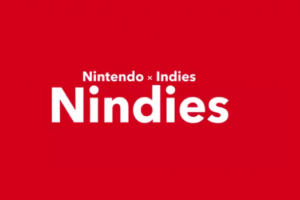 It has the visuals of games that you probably played into the wee hours at your parents house whilst having a gameplay style that is seen in games such as Dark Souls. However though, as hard as it can be, Hyper Light Drifter is a fair game. You will always learn from your mistakes and soon discover that if you approach a problem from a different angle, you will more likely succeed.